The Center can help you overcome the obstacles to commercial success and guide you through the process of bringing your product to market. With the resources of the Center and the support of the Franklin County CDC behind your business, you can expect support at any stage of your business growth. If you’re thinking about launching a food-based business, check out How to launch your food venture. We offer an Information Session on the THIRD Tuesday of the month at 10 am for food producers interested in using the Center. This is the first step in learning what we offer at the Center, services at the FCCDC, and product development considerations. We also include a tour of the facility. Register here or call 413-774-7204 ext 100 to sign up. The Center charges an hourly fee for production, and fees for storage rental, etc. For certain members, a batch or per unit charge may be negotiated after several runs of product. See our current usage and storage rates. Please note: Becoming a Producer at the Food Processing Center is not the same as FCCDC membership and requires approval by the FPC Manager. After you attend an information session, you will work with our Food Systems Program Manager and Director of Operations to work on an individualized plan based on the status of your product development and business plan. Barring special circumstances or farmers utilizing our Pioneer Valley Vegetable Program, every new producer is required to complete a prototype. This is an important part in the research and development in the scale up and commercialization of your food product. Please note: The FCCDC and FPC cannot guarantee a commercially viable final product, or the “perfect” product after a prototype. Most times, prototypes go well, but sometimes they do not based on the unpredictability of producing a brand new product. However, we can guarantee extensive expertise and professionalism in working to build a successful food business. HOW WILL THE CENTER SUPPORT MY BUSINESS? Support and training for agricultural producers and growers making value-added products or preserving harvests for retail and wholesale. Technical assistance, business planning, product development, distribution resources and manufacturing space for specialty and organic food producers. 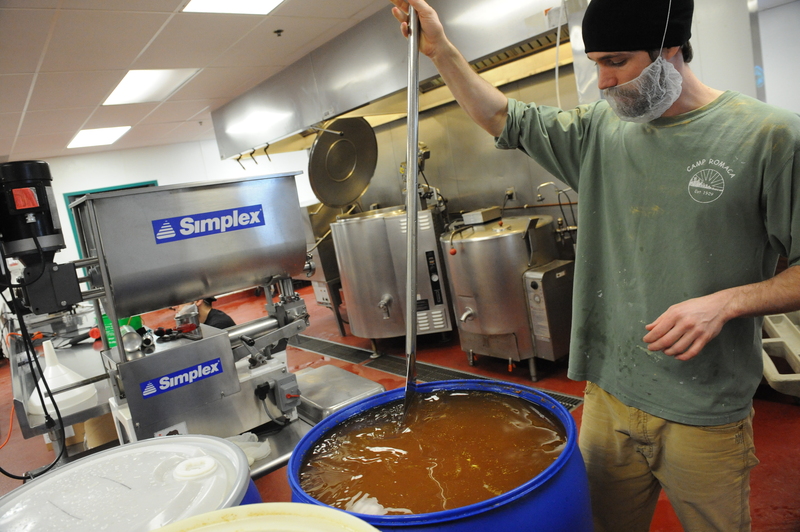 Our facility supports bottled and shelf-stable prepared foods, acidified foods, fresh-pack, and IQF freezing. Facilities and support for catering, special events, mobile food service, and other direct-to-consumer food production. 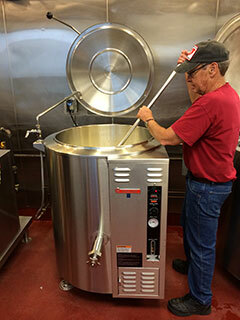 Copack, or contract manufacturing, services are available through our program. We will work with you to develop commercial production quantities of product under your label. Classes, workshops, and seminars designed to help start your business and expand your capabilities as a food entrepreneur. WHAT WILL I FIND AT THE CENTER? Many of these fine businesses have grown too big for our facility! 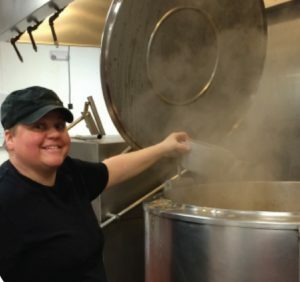 The Pioneer Valley Vegetable Venture, a program owned and operated by the Western Massachusetts Food Processing Center, is a solution to market extension for farmers and access to healthy local food year round. We work with farmers, distributors, and institutions to facilitate big impact frozen and value added products for year round sales and access. 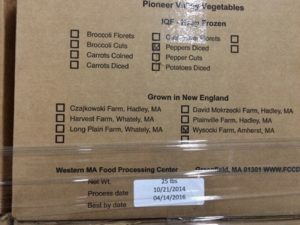 The Western Massachusetts Food Processing Center has the only IQF Machine in the region used to local food preservation in a shared use space. Flavor and Integrity: Produce is frozen quickly, forming minimal ice crystals and maintaining product structure, integrity and flavor. Fewer Food Miles: Food travels minimal miles from farm, to processor, to consumer, minimizing ecological impact and supporting the community and open space around us. Each box or bag of vegetables is marked with the farm or origin for complete transparency of the supply chain for the end consumer. Some farmers choose to sell produce to the program directly. For select items, the program will purchase in bulk, process, and sell to institutions. Currently, this is primarily k-12 schools in Massachusetts. For most items, we can take seconds, or “ugly” produce that may otherwise not be marketable. Other farmers choose to utilize our value added co-packing for their winter CSAs, Farm Stands, and other year round markets. Since 2001, The Western Mass Food Processing Center has helped growers and food entrepreneurs add value to food grown in our region. In 2009, the FPC launched the Extended Season program in order to increase our region’s capacity to lightly process fruits and vegetables (freezing and canning) in order to make local food accessible year-round. In addition to adding new equipment to our processing line, we are working closely with farmers and wholesale and retail purchasers to develop a regional value-chain for frozen and canned products that offers a fair price to farmers and a competitive price to purchasers. Our first, and perhaps most important, purchasers have been local schools and hospitals, as we believe that healthful food should be accessible to everyone. We have been working closely with Massachusetts Farm to School program to build on their successes. We also work with local CSAs to process produce for winter shares and markets. With assistance from The Community Foundation of Western Massachusetts, CISA, MDAR, and USDA Rural Development, we have purchased new, efficient equipment specifically designed for freezing fruits and vegetables. We anticipate freezing up to 100,000 lbs of regional produce for schools and hospitals annually for consumption in local schools.